Our little Em is turning into quite the artist. 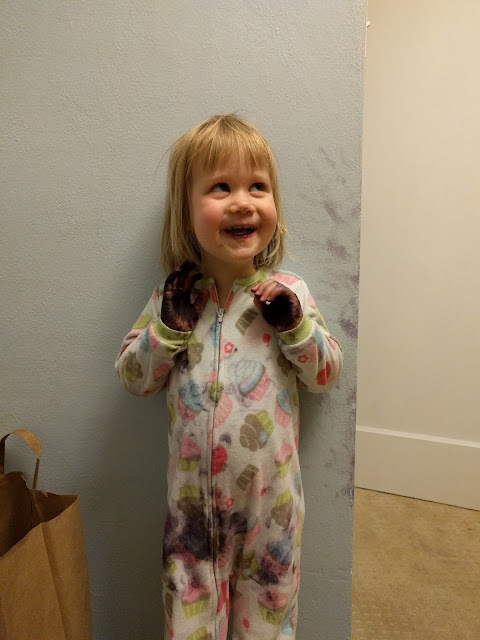 Here she is showcasing her black marker abilities. Despite being labeled as washable, it still took two days of good scrubbing to get all traces to disappear. We had out professional family pictures scheduled for this weekend so it was definitely down to the wire. Keep your fingers crossed that we get a decent holiday card photo! My in-laws gave Chris and me a night away from the kids. It was heavenly. 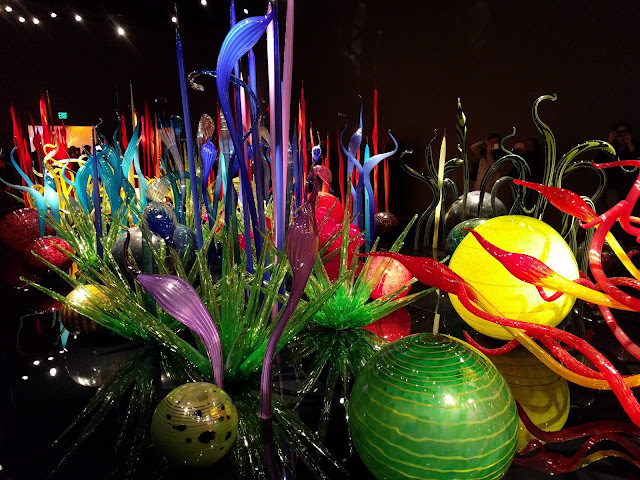 Chris planned our weekend, starting with reservations at a hotel downtown, a fancy dinner, and a long walk this morning with stops for pastries, coffee, and a visit to the Chihuly Glass Museum at Seattle Center. Child rearing is exhausting and a break from the bambinos was so gratefully appreciated. 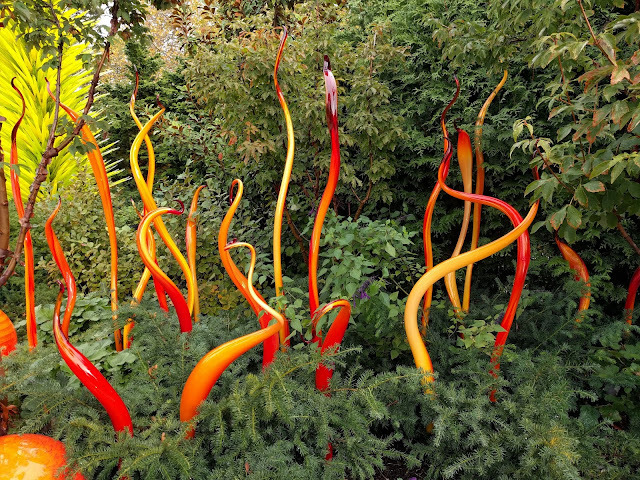 Funny story: As we were waiting in line at the Chihuly museum, who should walk out but Chihuly! That black eye-patch is hard to miss. We were surrounded by tourists who had no idea that the master himself was casually strolling through his own museum. Here are a few interesting links from around the web. My tootsies are always cold: I clearly need to start wearing uggs everywhere. In cold offices, It's all about your feet. Have you ever got to a hotel and the pool is about half the size pictures on their website? This is for you: Hotel fakeouts. As a parent that shares pictures of their kid (see above! ), this was especially relevant: The perils of 'sharenting'.